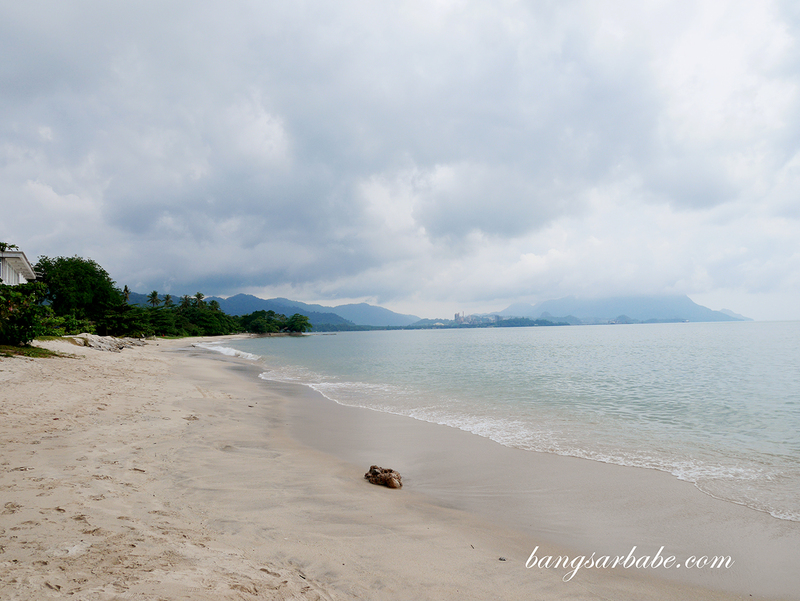 Eating in Langkawi can be a tad tricky if you don’t drive, which was why Jien and I rented a car to get around the island. 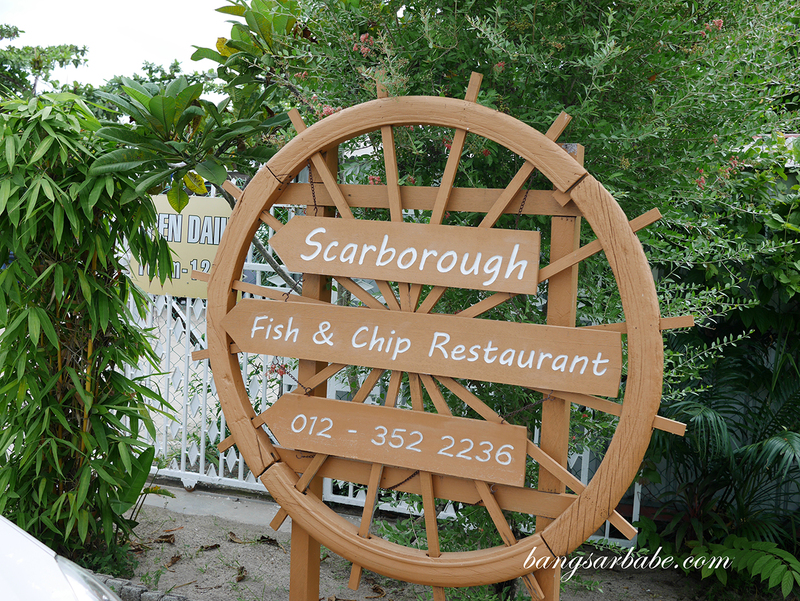 One of the places we found was Scarborough Fish & Chips along Tanjung Rhu, said to serve traditional English style fish and chips. 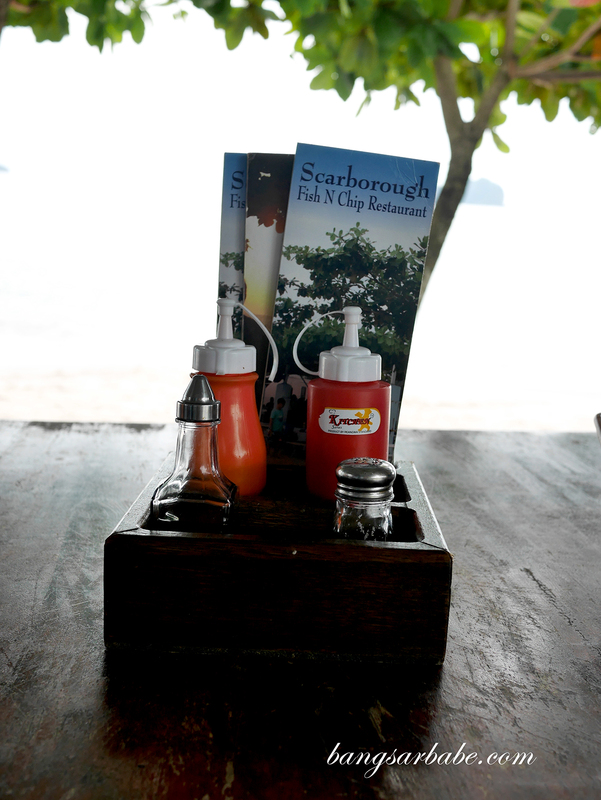 Scarborough Fish & Chips is a small restaurant (in a blue house) with a good view of the Andaman sea. The ambiance is relatively simple but the view you get more than makes up for it. 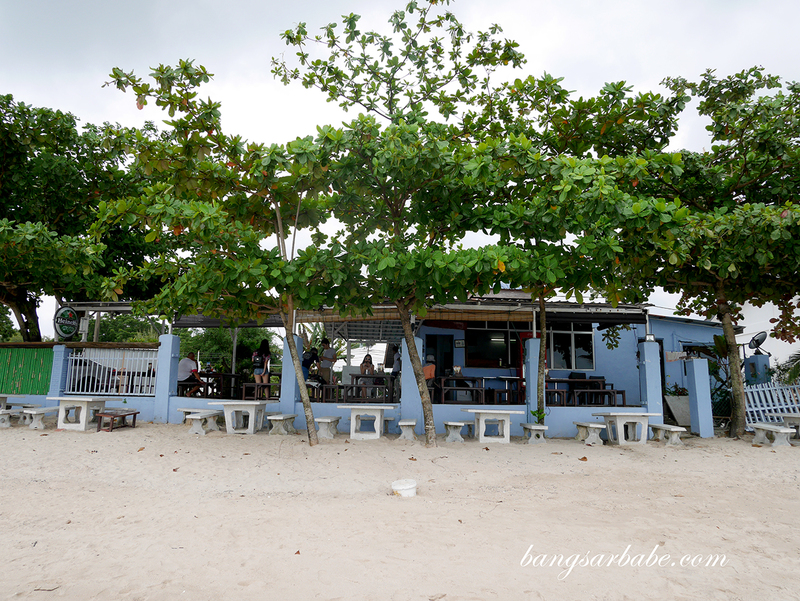 The menu is pretty straightforward – basic stuff, where fish and chips are a highlight. The fish and chips came with a side salad and thick cut fries. Nothing fancy but this was quite good. 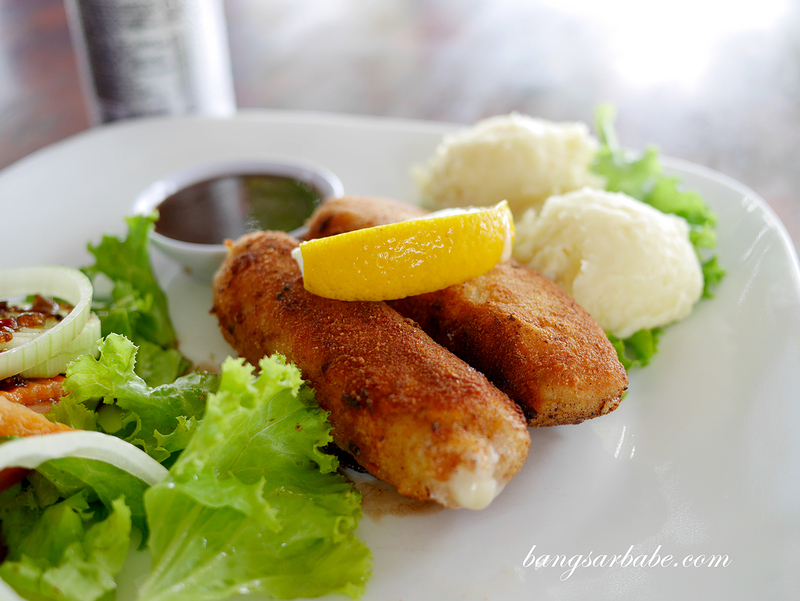 You get a few choices of fish – from dory to halibut or barramundi, batter fried till golden brown perfection. I liked how the batter was light and aromatic, while the fish was cooked just right so the texture was firm yet flaked at the probe of the knife. 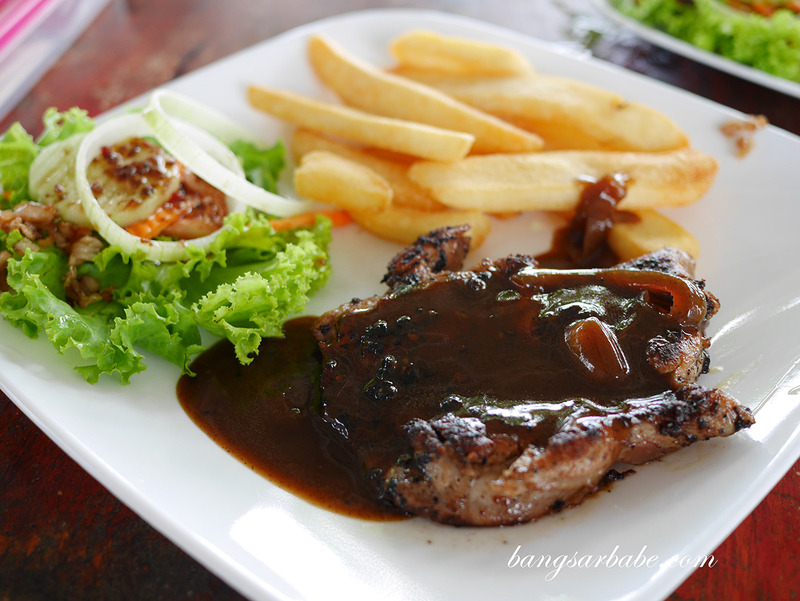 I didn’t care much for the chicken chop with black pepper sauce, but it wasn’t too bad. This is a good option if you want something other than fish and chips. 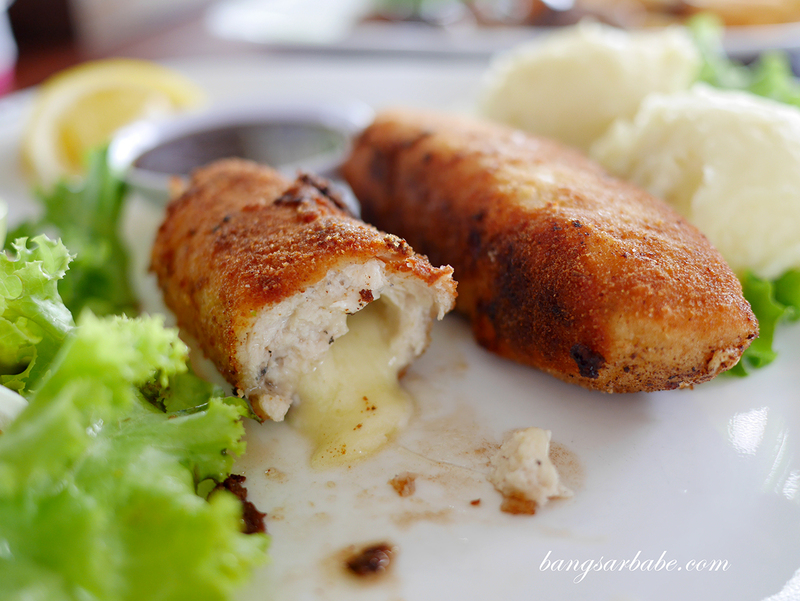 The chicken cordon bleu was better –chicken breast with ham and cheese wrapped at the centre, breaded and deep fried till the centre is gooey. 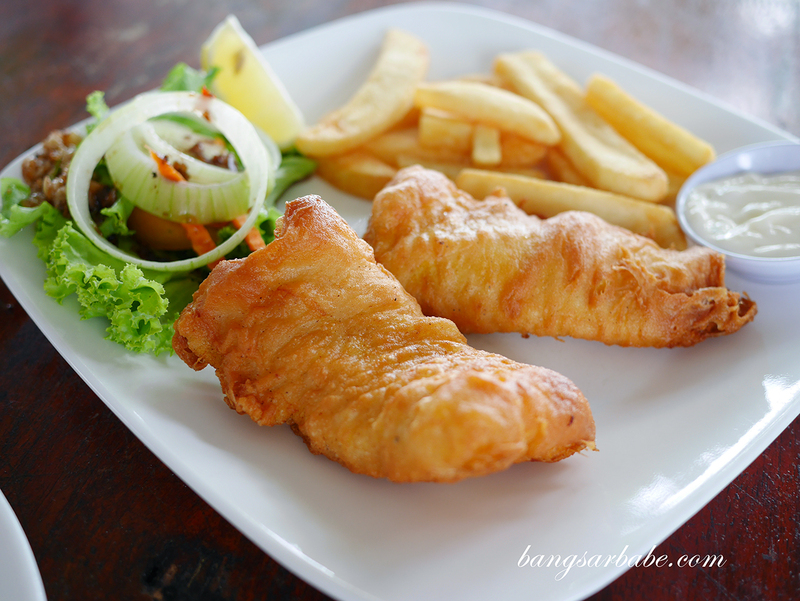 If I’m not mistaken, a plate of fish and chips cost between RM20-RM25. If you’re going for cod or halibut, that will cost more. My only gripe is the portion — it’s not small, but could be bigger as I’m a big eater. 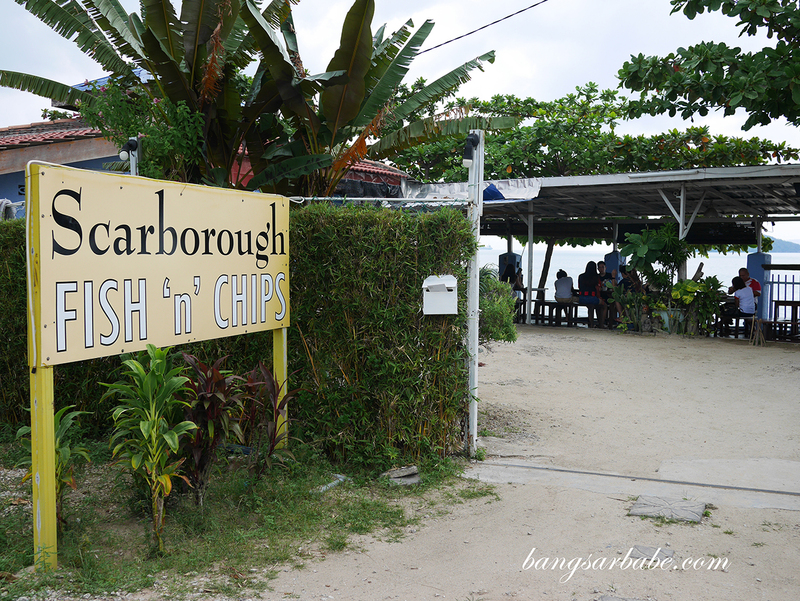 I strongly recommend you rent a car as you can always take a cab to Scarborough Fish & Chips, but finding a cab to take you back might not be as easy. 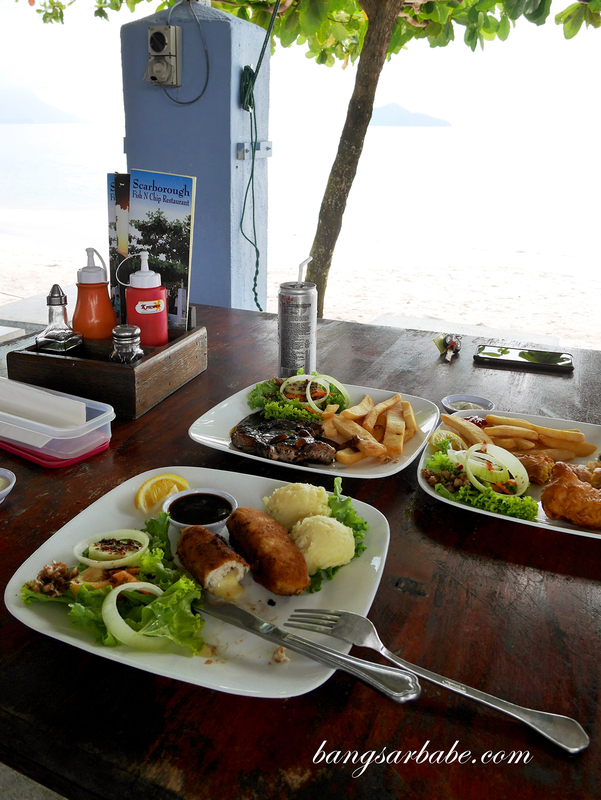 Verdict: The fish and chips is good stuff and you get a great view of Andaman Sea.